LOCATED IN DESIRABLE TORINO AREA NEAR ST LUCIE WEST'S SHOPPING, RESTAURANTS AND METS SPRING TRAINING STADIUM. LOT BOASTS EXTENSIVE PRIVACY IN BACK. Great lot backing up to preserve area. Perfect location to build your dream home! Nice high and dry ready to built lot. Great opportunity to own in an area of newer homes and new construction arising.Close to SLW, schools,shopping,I-95. Beautiful oversized lot! Almost a half acre in the well sought after Torino community with NO HOA! 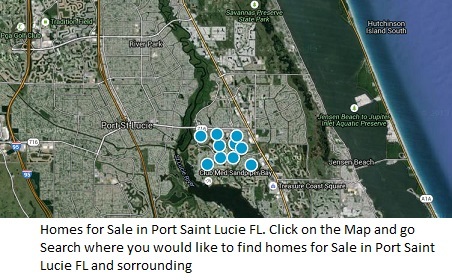 Close to I 95 and Saint Lucie West Shopping! Wonderful opportunity to purchase you own lot to build your dream home. Located in desirable Torino area of Port St Lucie. No HOA. LOCATED IN SOUGHT-AFTER TORINO AREA NEAR ST LUCIE WEST'S SHOPPING, RESTAURANTS AND METS STADIUM. CONVENIENT TO I-95. LOT WAS RECENTLY TRIMMED PER CITY SPECS. Build your dream home in the desirable Torino area! Close to shops, restaurants, Mets spring training stadium, PGA golf, and much more! NICE 3/2/2 HOME IN WINDY PINES, TORINO! CULDESAC STREET, ALL APPLIANCES. QUICK ANSWERS, QUICK CLOSE! Build your dream home in the heart of the desirable Torino neighborhood. This standard, interior lot has a northern exposure. NICE LOT ADJACENT TO ANOTHER LOT AND BOTH AVAILABLE TO COMBINE FOR ALMOST 1/2 ACRE. LOT IS ALSO FENCED! ONE OF BEST PRICED DOUBLE LOT COMBOS IN TORINO AREA. BEAUTIFUL LOT AVAILABLE TO BE SOLD AS A DOUBLE LOT WITH 5771 NW CLEBURN. LOTS ARE ALREADY FENCED! Beautiful Oversized Corner Lot In The Desirable Neighborhood Of Torino. Build You Dream Home On This Spacious Lot. For Home Plans Please Call.